The private life of the fat-tailed dunnart – a small, bright-eyed marsupial – is about to be exposed, courtesy of UNE post-doctoral research fellow Dr Gemma Morrow. In particular, Dr Morrow is seeking to unlock some of the secrets of the dunnart’s reproductive cycle and its interactions with torpor. Entering torpor – a period of rest characterised by a controlled reduction of body temperature and metabolic rate – is a common strategy used by animals around the world to save energy. But this is the first time that the interactions between torpor and reproduction will be studied in the fat-tailed dunnart, and many other native species stand to benefit. “Torpor has been demonstrated to allow species to thrive in adverse environmental conditions and exploit resource-poor environments, but few studies have examined how animals manage to reproduce on limited resources or after catastrophic natural events,” Dr Morrow said. “By studying how the dunnart can use torpor during reproduction we can get an insight into how species may respond to environmental stress as well as persist in resource-poor environments. For a long time, it was thought that energy-saving periods of torpor and energy-intensive reproduction were mutually exclusive, but it turns out that torpor can assist reproduction. 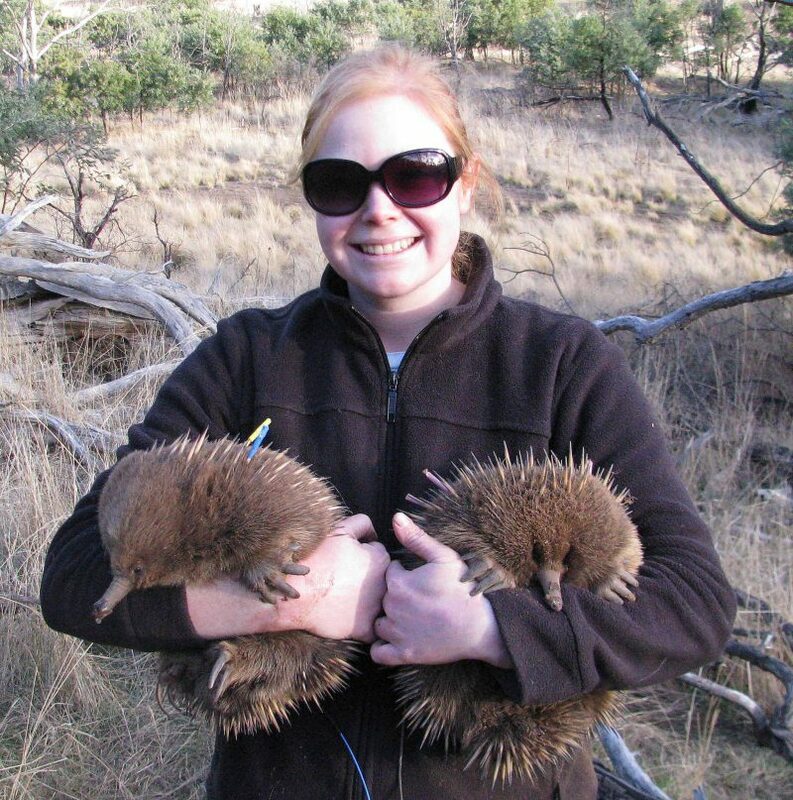 Dr Morrow found it was certainly the case for the Tasmanian echidna, which she studied for her Honours and PhD. Tasmanian male echidnas terminate hibernation one month earlier than females, and then seek out hibernating females for early mating opportunities. While locating such females was a successful strategy for males and typically resulted in pregnancies, if mating occurred prior to the end of July females would re-enter hibernation, even if pregnant, to delay egg-laying to the optimal time of year. The nocturnal fat-tailed dunnart lives for just 15-18 months in the sparse grasslands and open shrublands of Australia’s deserts and semi-arid inland. It feeds voraciously at night on beetles, spiders, small reptiles and amphibians, and is known to enter daily torpor. Dunnarts breed from July to February, and the female can rear up to 10 young per litter, which she suckles for about 70 days. Dr Morrow will study a wild population of dunnarts in Kinchega National Park, in the far west of NSW, fitting temperature-sensitive radio-transmitters to individuals to measure their body temperature and therefore torpidity. She will compare those findings with a captive population to be established at UNE.